Teacher Thumbprint Tree Print for $5.39 (Reg $20)! This is a super cute Teacher Appreciation Gift to do with your child’s entire class! 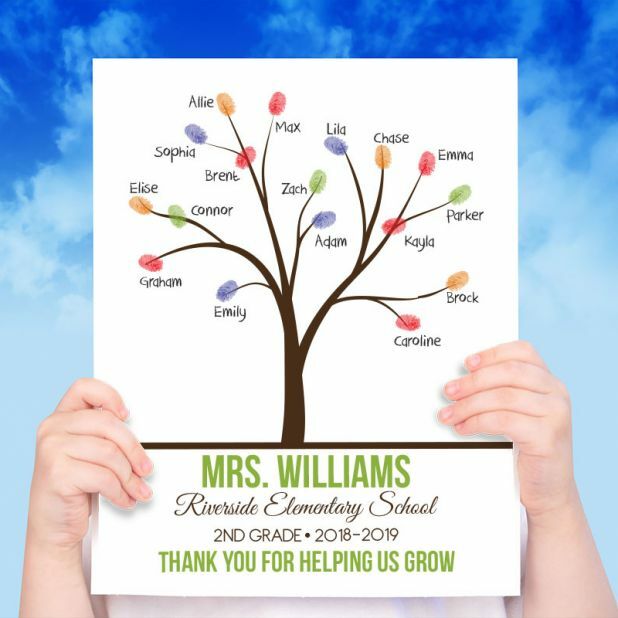 The tree is personalized with your teacher’s name, class and school year. To make this keepsake, have the students place their thumbprints to look like leaves on the tree. The students can also sign their names next to their thumbprint to make this gift extra special! Great for teachers, coaches, dance teachers, or church teachers! Teacher Thumbprint Tree Print for $5.39 (Reg $20)! *Use code welcome10 to get this price. Order includes one 8×10 print printed on 8.5×11 110 lb. cardstock. Shipping is $3.45 for the first item and $0.10 for each additional.